COMPOSITIONS; A Musical Close Up. 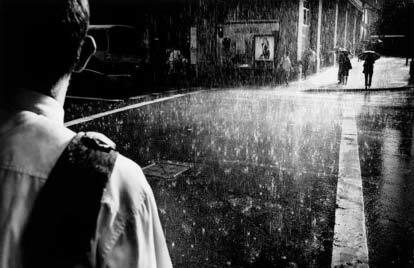 Trent Parke and Tyran Parke are brothers – and two very different human beings. Growing up in Newcastle, Australia – both were destined to end up as creative artists. Trent, as a photographer. Tyran, as an actor, singer and writer. This exciting project will mark the first time that Trent and Tyran Parke have ever collaborated artistically. Never has such a prestigious team been assembled with twelve Oscars, four Tony Awards, seven Grammy’s, one Golden Globe and many other nominations between them. 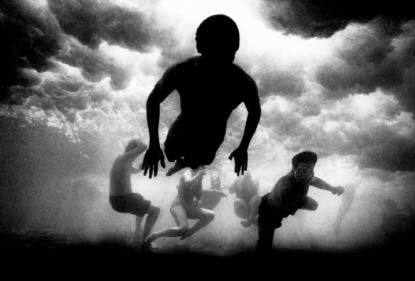 The concept is simple, yet complex – each composer is asked to peruse the selected catalogues of Trent Parke’s photography and choose the image or images that they connect with the most. Then, they are asked to compose a piece that brings that artwork to life for a recording. It is hard to think of a project in recent memory that has boasted such a dazzling array of creative talent all collaborating on the same work. The photo’s are Trent’s and his reputation is worldwide being the only Australian photographer to be represented by the exclusive Magnum group. The music is wide ranging in style influenced by jazz, classical, contemporary pop and musical theatre. Each of the songs are connected through the voice of Trent’s brother, award-winning singer, Tyran Parke. This is a fascinating look at how the best composers in New York as well as the new age of developing songwriters in Australia respond to art. The project is as much about the creation as it is about the product. The CD will be released with a booklet including both the inspiration of the photograph as well as a short blurb on why the composer chose that particular photo and why they tackled it the way they did. The CD is a celebration of collaboration with the best writers from Australian and Broadway, inspired by the award winning photography of Trent Parke, and interpreted by the award winning talents of his brother, Tyran.